Looking forward to seeing all the “magic” (ie hard graft) come together! Would love to go to FoQ – will it be this year?? I remember doing this sort of thing for a group I belonged to at work. Never got to see the show or the speakers. Next year you will have the time of your life! Great background information- thanks Sheena. I guess you will really get a chance to see the show in future years! Thank you for all your hard work. I love the show and next year you will be able to enjoy just looking. So glad you found it interesting – I was a little worried that I had got on my high horse!! But I am passionate about the importance of the lineage of art (in all its forms) Thank you for taking the time to respond. I appreciate it. 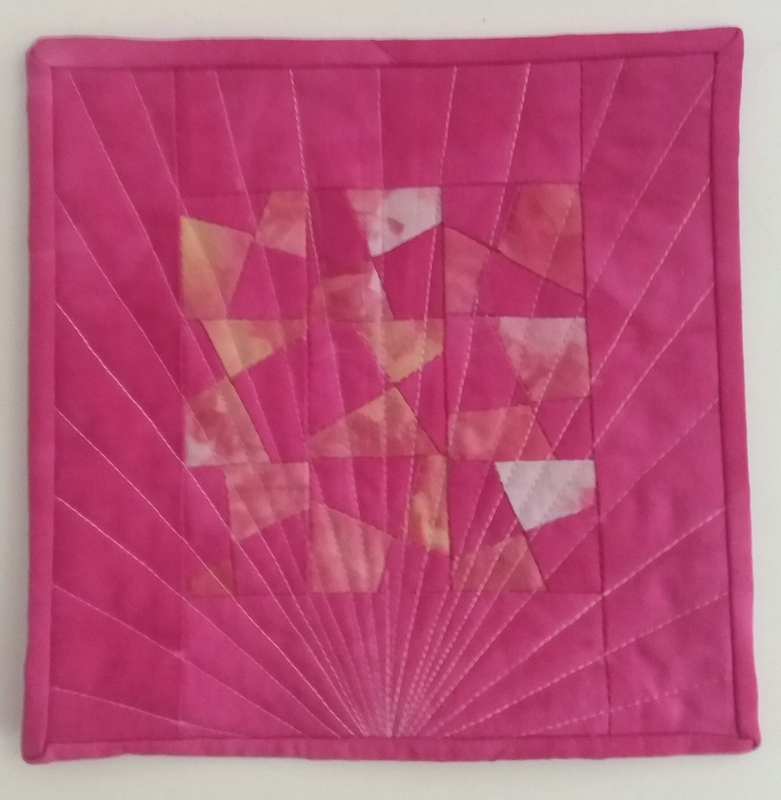 Having just posted a photo of one of my quilts on the Mini Squilt Swap page – and read your very interesting post above…..I went back into my post and ‘named’ my quilt. Success – I am sure I won’t be the only one to heed your warning..Thank you. The spiral is great fun – bit of a challenge when it is small, but gets easier as you travel out! There are some fantastic books out there these days, aren’t there? Enjoy your explorations! 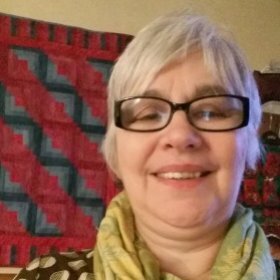 Thank you for writing about walking foot quilting! I love this technique as I’m not really a flowery or swirly sort of quilter,or one who has to have every square mm of a quilt decorated. It isn’t that I can’t appreciate that sort of quilting but it isn’t for me. Thanks for taking the time to comment. I also really appreciate good FMQ, and am in awe of all those wonderful patterns that can be created, but for me it’s always about the spaces in between (cue Leonard Cohen singing about the gaps and that’s where the light gets in!). I am passionate about the creative opportunities that come from playing about with the walking foot. Can you use a walking foot and dogs?? Absolutely – the walking foot is used with the feed dogs up – i.e. their position for normal sewing. So if you don’t have the facility to drop the feed dogs, or don’t want to cover them, you can create some gorgeous quilting designs. 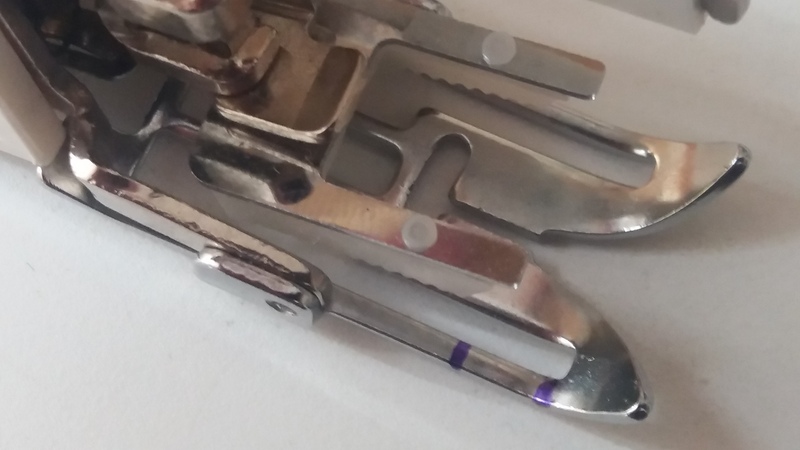 If your machine doesn’t have a walking foot that fits, just use your standard foot, but be sure you baste well to get the best result possible. Very useful info. Never thought of doing the spiral shape with my walking foot. Very interesting, and useful. Just my kind of thing! Nice inspiring blog. I know why not to use those pens. But beginners might not. Also you didn’t make it clear if you had feed dogs up with walking foot or down. Might be me reading it wrong. 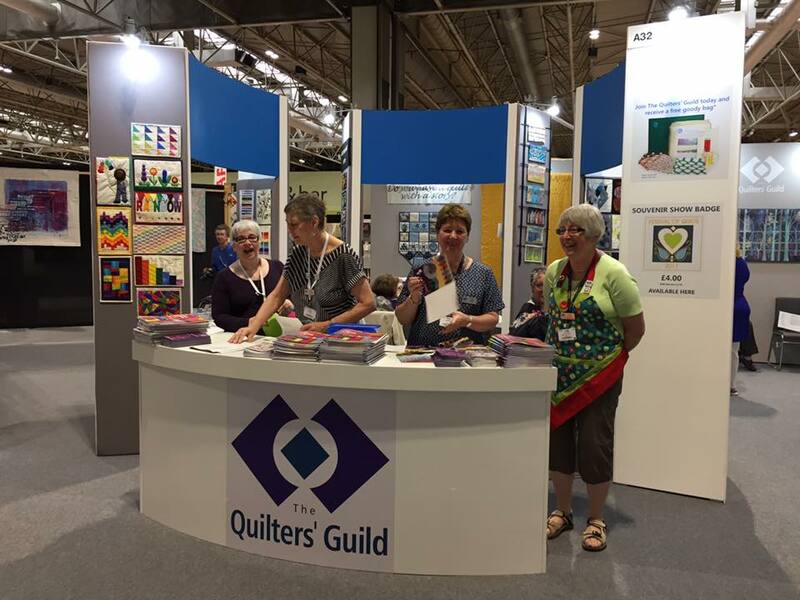 But overall this was a great blog and my inspire others to stop worrying about quilting there own quilts. Thanks for such a considered response – I do appreciate it. It is not possible to cover everytBut hing that we might wish to, so sometimes it the right thing to make a bold statement (eg the Frixion pens) and let people who need to know the why ask that question. With regard to the feed dogs – what a good point! As having the feed dogs up is a general thing for most sewing it didn’t occur to me to be specific! As the machine’s feed dogs work in tandem with the walking foot it is essential that they are up and engaging – otherwise you won’t get the benefit. It’s like crocodile jaws holding onto your sandwich from the top and the bottom, moving it along and then letting go in order to grab again a smidge further on. Hope that helps. Thank you. The reason I asked about the feed dogs is I use them both up and down depending on the fabric and type of project. Your blog was an enjoyable read thank you. Also, walking foot quilting is less daunting than free motion quilting. Good blog. Thank you very much for sharing this blog I found it very helpful and informative, as I have a table runner to be quilted and have been at a loss as how to do it. I have had advice from members of the group though. Can I ask why not use Frixion pens? Frixion pens are not designed for fabric use. They are only tested by the manufacturer on paper. They utilise two chemicals – one which is the “ink” and one the “eraser” – except it isn’t an eraser, it is a second chemical activated by heat that renders the first chemical relatively transparent. When cold, the original chemical can show through again. You can never actually get the ink out. Sometimes it works and you don’t see it again, but not always. And do you want to be like the person who sent her quilt to a show only to find that the lines showed through and spoilt her beautiful work! There are people who are happy with them, but I absolutely do not suggest that they are used on the top of the quilt. Thank you Sheena, I understand why now. Good job I bought some chalks! Thank you – it’s an old one, but a much loved one. 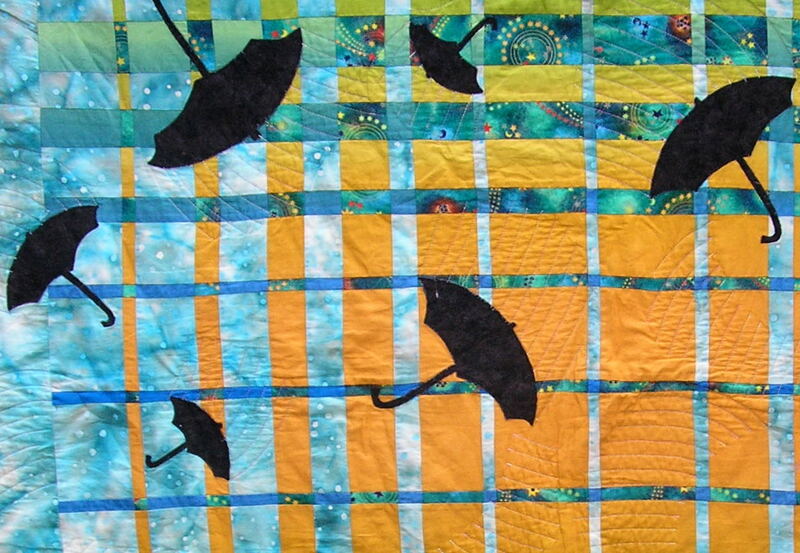 Love the umberella quilt Sheena. I did a search for it and in the UK Quilt Direct has it for £19, Amazon has it cheaper. I didn’t bother searching further than that.